Is that one driver per 6 FETs as in 3 high, 3 low, or 6 high, 6 low? If it's the latter your switching times may be sad..
Yeah it saves a lot of board space too. With the 22r gate resistors it works out at 1.6A for a set of 3 so well within the 4amp peak on the drivers. There is going to be copper bars on that side anyway so its not a problem as the heatsink has a 2mm thick thermal pad anyway. 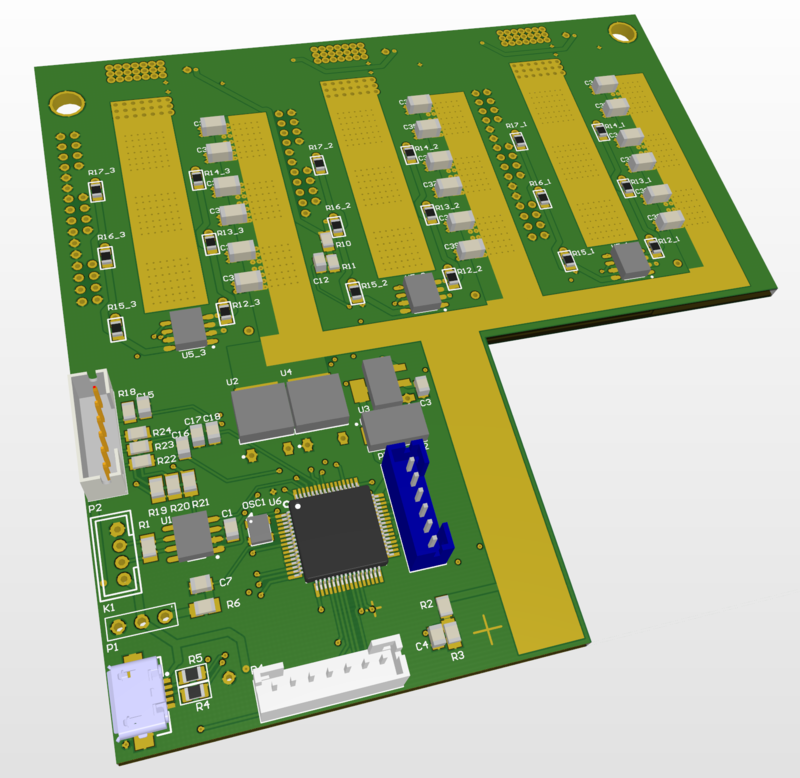 Decided to finish off the pcb layout instead, so here is the completed board! The exposed parts will have 3mm copper on them. The cutout is for capacitors. With the whole board sandwiched between a set of aluminium plates. Last edited by TechAUmNu; 25th September 2017 at 20:51. 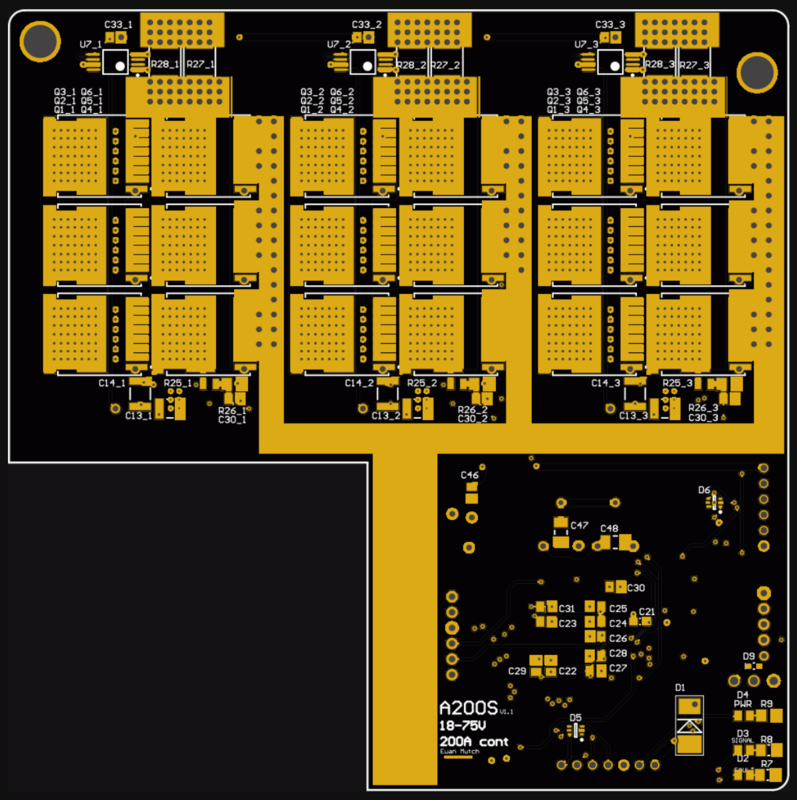 New pcb is now with the fab after I got the schematics checked over by some other people. Thanks to them! Ordered the parts that changed for the new version, mostly capacitors and more TVS diodes for ESD protection. 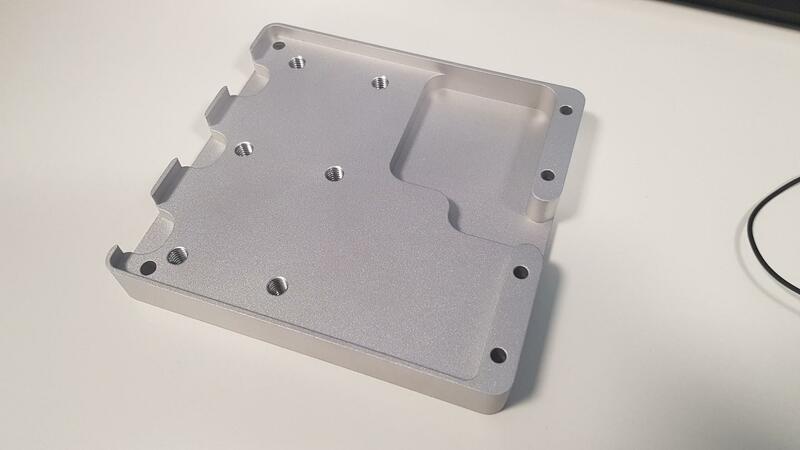 Also getting the case prototype made by protolabs so that should arrive soon. 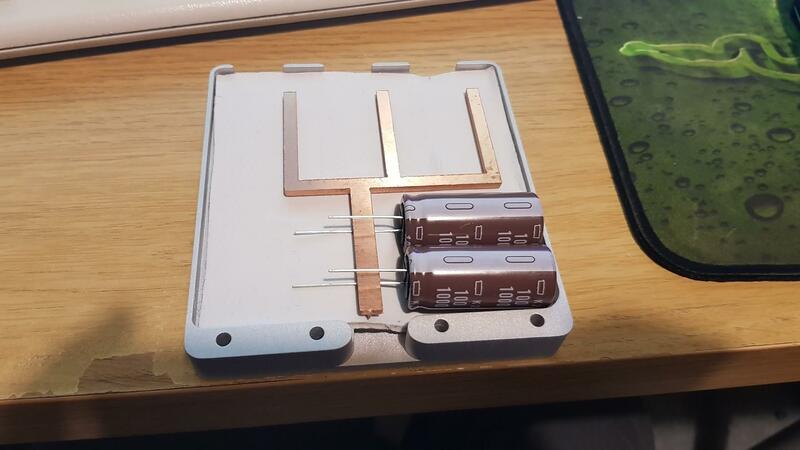 Copper bus bars were cut at the same time as my order for Triforce and look pretty good. Just waiting on stuff arriving to test it out! All parts have now arrived. The boards were dispatched on Monday so should be here sometime next week. I got the bottom half of a case done by protolabs and the copper bus bars were cut by kcut. Been working on this slowly over the last few months to sort out the problems. 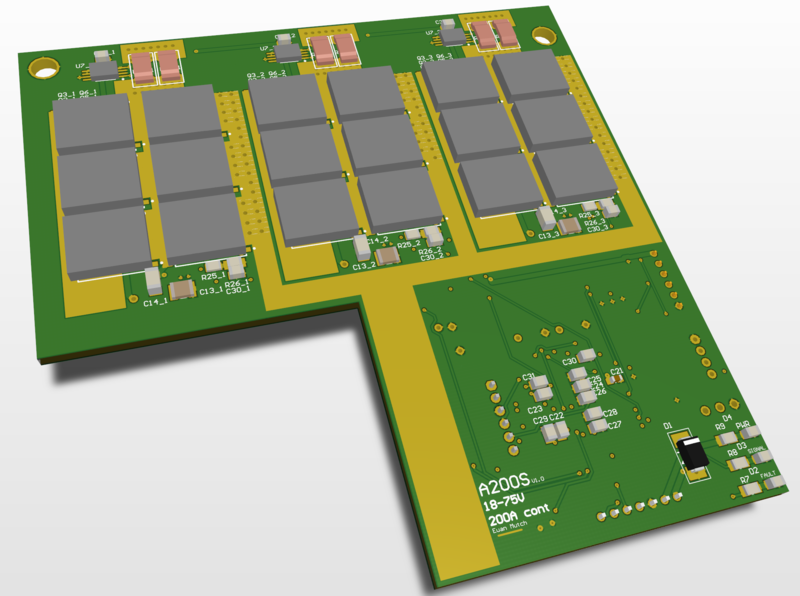 I have just sent off to get the next revision of the board manufactured. That's a LOT of vias! What sort of issues have you run in to? When I originally designed it I was working from the VESC4 schematic, so the VESC6 software didn't really work properly. So this version follows the VESC6 schematic so that the software will work properly. 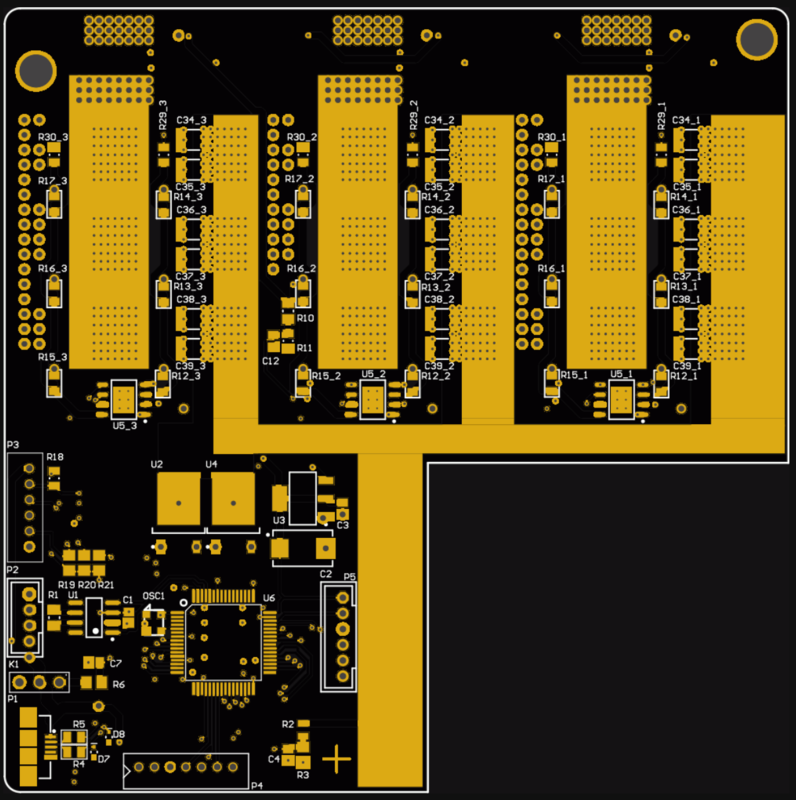 Also added lots of ESD protection and other protection devices, changed the board shape a bit and changed all the values for bootstrap capacitors and gate resistors. I have a few weeks off around Christmas so I will be testing this board then.